with French flaps; 72 line illus. Guesstimation is a book that unlocks the power of approximation--it's popular mathematics rounded to the nearest power of ten! The ability to estimate is an important skill in daily life. More and more leading businesses today use estimation questions in interviews to test applicants' abilities to think on their feet. Guesstimation enables anyone with basic math and science skills to estimate virtually anything--quickly--using plausible assumptions and elementary arithmetic. Lawrence Weinstein and John Adam present an eclectic array of estimation problems that range from devilishly simple to quite sophisticated and from serious real-world concerns to downright silly ones. How long would it take a running faucet to fill the inverted dome of the Capitol? What is the total length of all the pickles consumed in the US in one year? What are the relative merits of internal-combustion and electric cars, of coal and nuclear energy? The problems are marvelously diverse, yet the skills to solve them are the same. The authors show how easy it is to derive useful ballpark estimates by breaking complex problems into simpler, more manageable ones--and how there can be many paths to the right answer. The book is written in a question-and-answer format with lots of hints along the way. It includes a handy appendix summarizing the few formulas and basic science concepts needed, and its small size and French-fold design make it conveniently portable. Illustrated with humorous pen-and-ink sketches, Guesstimation will delight popular-math enthusiasts and is ideal for the classroom. Lawrence Weinstein is professor of physics at Old Dominion University. 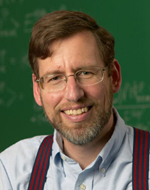 John A. Adam is professor of mathematics at Old Dominion University. He is the author of Mathematics in Nature: Modeling Patterns in the Natural World (Princeton) and the coeditor of A Survey of Models for Tumor-Immune System Dynamics.